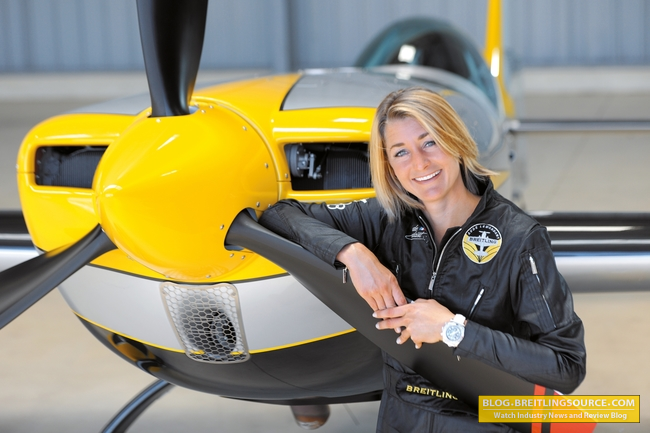 Aude Lemordant, a Breitling partner and Acrobatic pilot who is also a commercial Boeing 777 pilot has just won her second consecutive World Aerobatics Championship! Breitling continues to support and partner with passionate individuals in aviation that align with the direction of the brand. Breitling is delighted to congratulate its partner, Aude Lemordant, on her magnificent victory at the FAI World Aerobatic Championships 2015 held in Châteauroux (France). The young Frenchwoman, who is also an airline pilot on Boeing 777, entered the world of aerobatic competitions in 2005 and rose swiftly through the ranks. Four-time French champion from 2011 to 2014, she was crowned World Champion in individual, freestyle and team categories during competitions that took place in Texas in 2013 – a feat she has just repeated this summer at the controls of her Extra 330SC sporting its personalized Breitling livery. 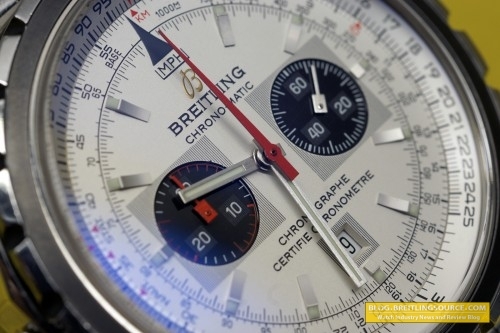 With her 7,000 flying hours, her aerobatic feats and her professionalism as a long-haul airline pilot, Aude Lemordant perfectly embodies the entire aeronautical world – characterized by accomplishments, performance and a determination to transcend capabilities – of which Breitling is a longstanding privileged partner. Barrington Watch Winders is a British watch winder company founded in 2009 with the mandate of bringing an affordable watch winder to the masses that also looks good. 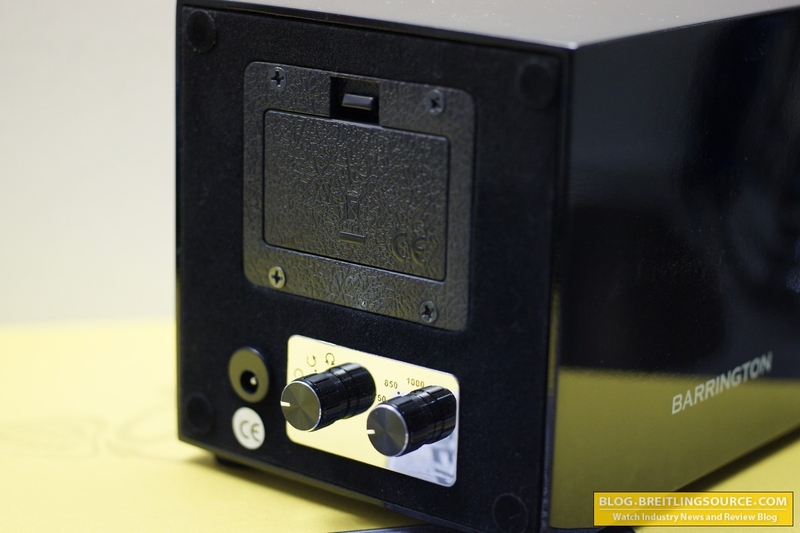 I’ve handled several different brands of watch winders, and have noticed that there is a huge gap in the quality of entry level winders and good winders, with nothing in-between. Barrington seeks to fill that gap. 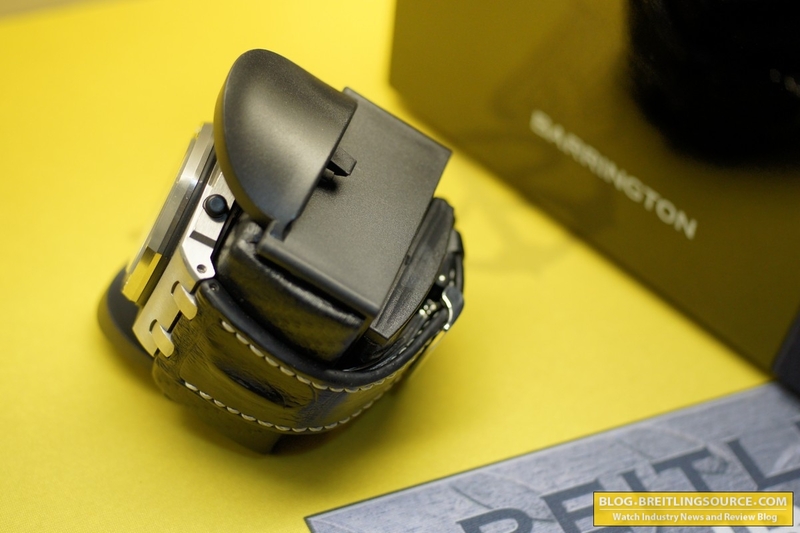 The Barrington Single watch winder comes in a handsome high-gloss lacquered wood case, and in a variety of colors. I selected the Black one since it doesn’t stand out too much and won’t offend anyone, though some of their more colorful options do look kind of cool. Given their price, they would seem to directly compete with brands like Wolf Designs and Spin-R – at least their entry models. 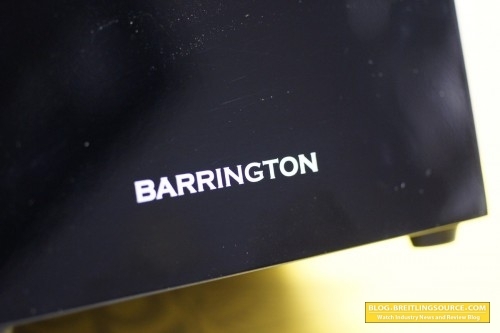 The Barrington logo is printed on the side of the case, and is nice and low-key, which is nice. Most of my other winders barely even have a visible logo which is nice and classy. Don’t need it printed all over like Louis Vuitton monogram, do we? 🙂 The watch winder is also lighter than it looks to me. The wood is not particularly thick, so it seems light. It also seems quite large considering there is only AA batteries inside it. Most logic PCBs I have seen for watch winders are quite small, so I’m not sure if the size was arbitrary or determined by necessity such as counter-balancing weight of the watch. The back is pretty straightforward as you can see. There is a battery compartment at the top where you can insert two AA batteries and run the winder without an AC adapter. The battery life can depend on various conditions such as the weight of the watch, the TPD (times per day) setting and the type of batteries, but I am told that you can expect a good pair of batteries to last a month under normal settings and watch weights. This isn’t spectacular but not bad for a couple of AA batteries, and it is certainly nice to have the option of going wireless. I’m also told that it would be prudent to remove the batteries if you are using the AC adapter since the batteries may have slight parasitic draw while it is plugged in between cycles. You also have a choice of AC Adapter as well for European and North American buyers. Here’s where this winder shines above the rest in terms of features: The control panel. 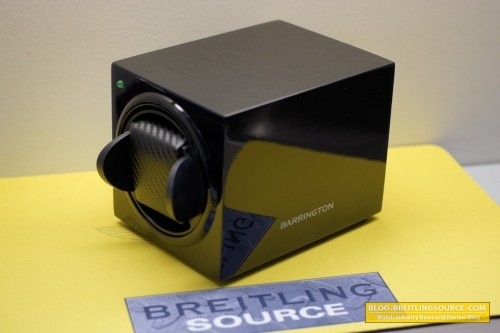 The Barrington Single Watch winder provides more programmable options than most winders in this price range and even above. 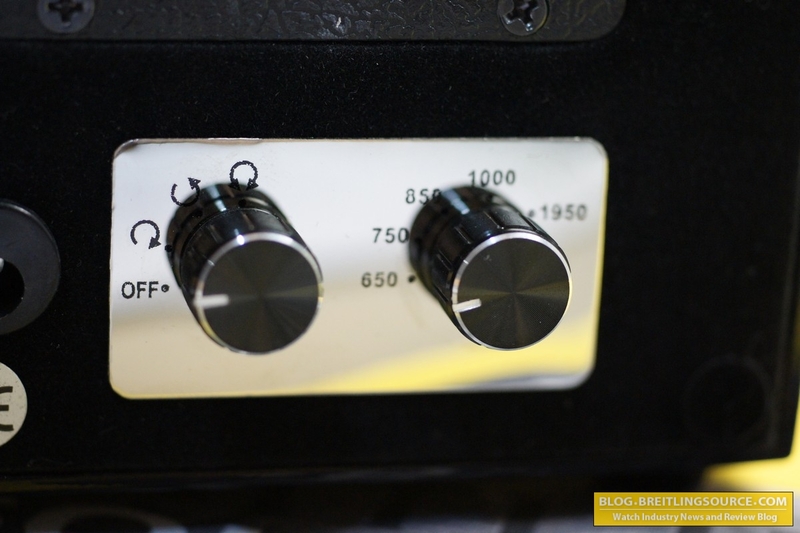 Many winders will give only a single option of TPD or Direction, or sometimes they only offer a few choices, but Barrington goes the extra mile here to make sure that you can really tweak your winding experience. They offer TPD from 650 all the way to 1950, and clockwise, counter-clockwise as well as both for winding. This is a very nice set of features. They are adjusted by turning the click knobs that are mounted on a nice mirrored plate, which is quite attractive. In action, the winder is whisper quiet, probably among the quietest winders I’ve owned, and the LED only goes on when it is winding and turns off between cycles. I personally would have designed the LED to be constantly on when it is turned on, since you can always tell that it is winding by simply looking at the winder itself, but you can’t tell if its on between cycles without looking at the back, but that’s just one man’s opinion! The cushion snaps into place using two flared plastic handles, which is similar to several other winders out there. 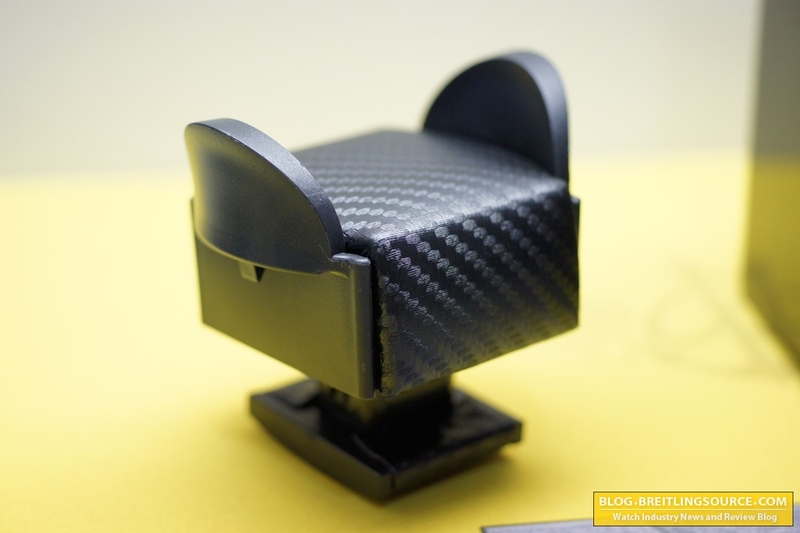 The fabric used on the cushion is a faux carbon fiber, which looks modern and matches the design of the winders well IMO. 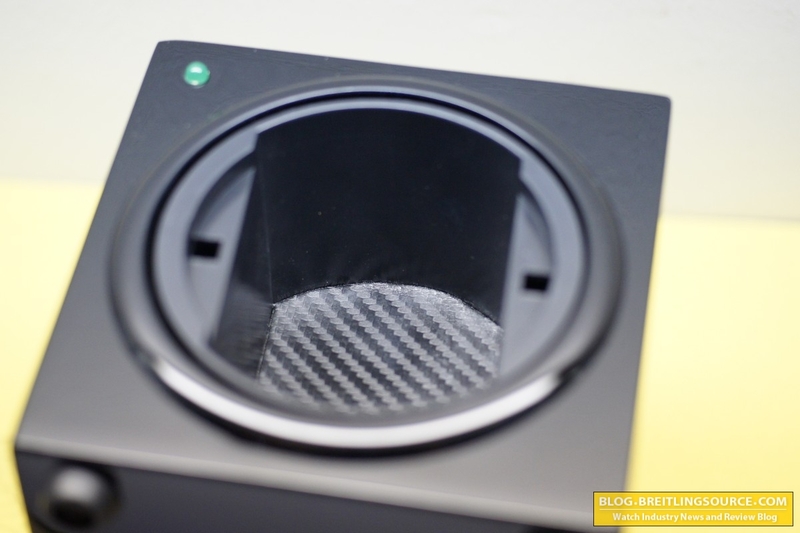 Just wanted to show that they used the faux carbon fiber fabric inside the winder as well, which is sort of a nice touch. Here is the shot of the cushion that inserts into the winder. As you can see it has a spring loaded backpiece that compresses and clicks in if you are on the smaller side of the size spectrum. This is the normal sized model, and not the small cushion version. 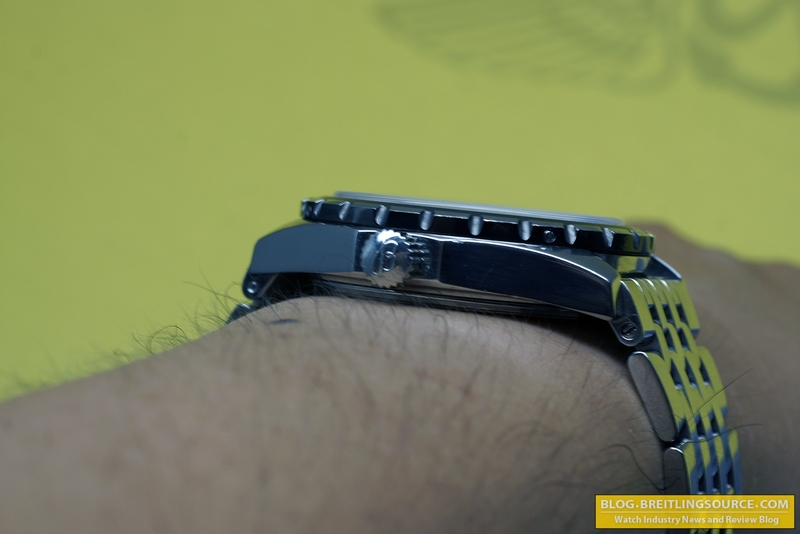 I didn’t measure my wrists before ordering but I probably should have as this model is ever so slightly too big for my watches and while they will still close around the cushion, it is VERY tight. I have a 17.5cm wrist (6.75″) so that could be used as a way to determine which winder size you need. Their website states 20.5cm as the smallest size for the regular sized winders so I am off by 3cm! 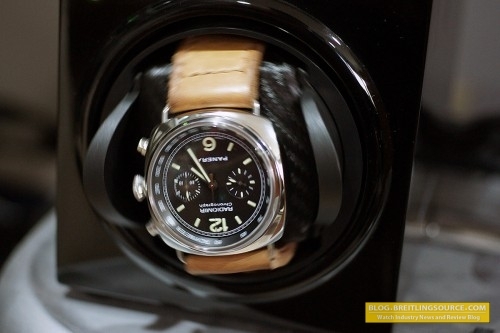 There she is in action with my Panerai PAM288 in it, doing a fine job of winding it. In summary, I think this is a solid buy especially if you’re looking for a wood finished winder in this price range, since there are very few, if any, wood finished winders in this price range. 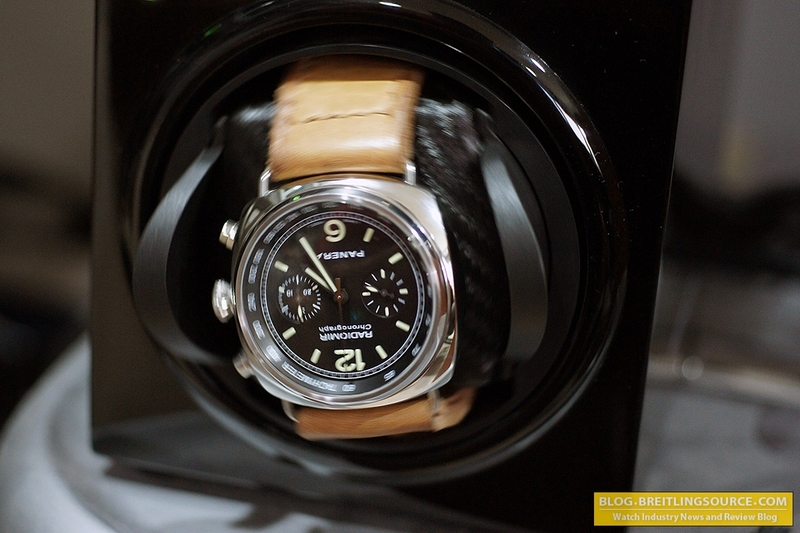 I can’t comment on the longevity of the winder, but Barrington claims ultra-quiet Japanese motors. I can attest to the ultra-quiet part and the Japanese make very good electric motors. The cushion isn’t my favourite, and I generally prefer fully soft cushions like those used in the Orbita Sparta winders, but it seems to do a decent job and has a wide range of fit. 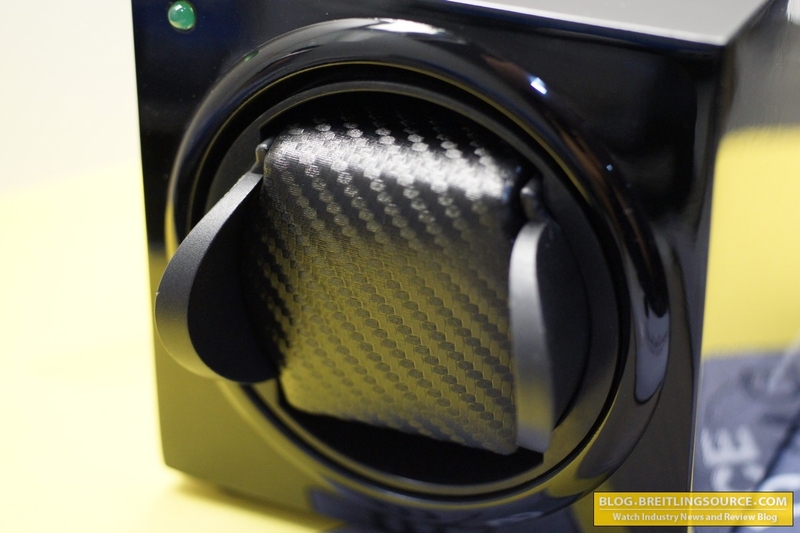 Keep in mind that you might need the small cushion winder if you have a wrist under 7″ around. I really like the multitude of programming options and the option to use AA batteries as well as AC power. · Can be operated either by AC mains or two AA batteries. 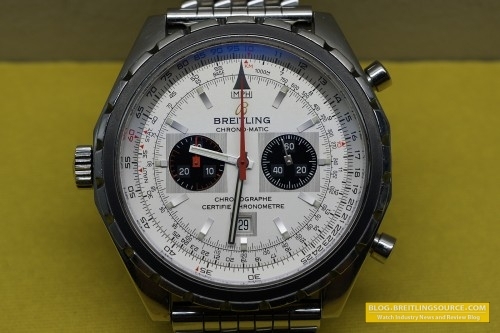 This is a bit of a fluff post since it really has nothing to do with watches so much as the crazy special treatment you get if you buy a Bespoke Mulliner Bentley Continental GT Speed… A complimentary ride in a Team Breitling Jet and a Breitling Chronomat 44 limited edition watch… very cool. But I had to post it because this photo is just way too awesome. 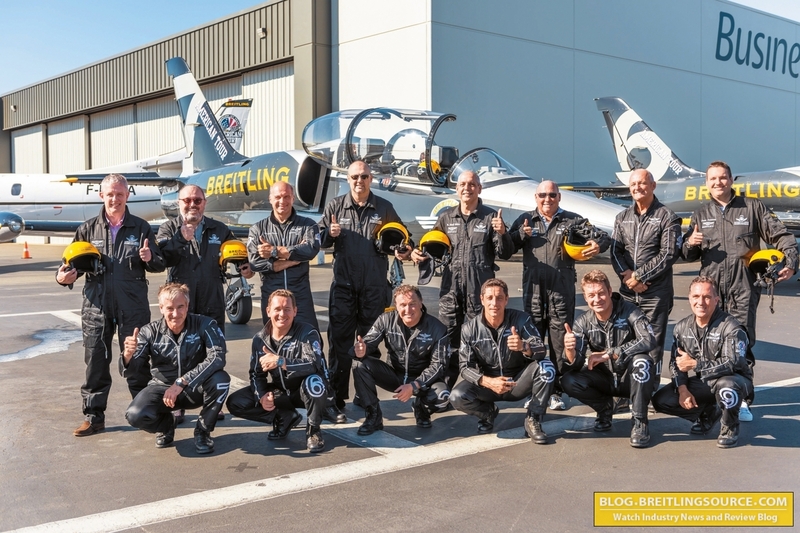 These seven gentlemen and their Breitling pilots look mighty happy about to enjoy the experience of a lifetime flying with guys. I am green with envy! Those are pretty sweet though. 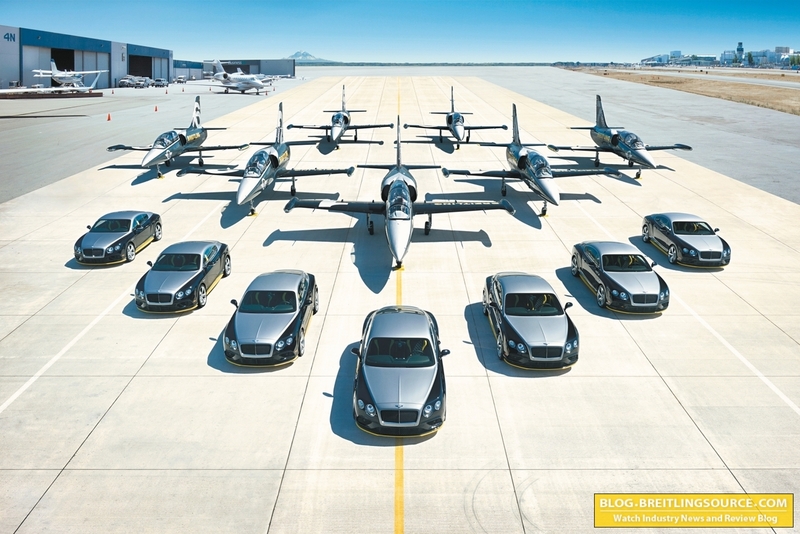 Breitling and Bentley unveiled the Bentley Continental GT Speed Breitling Jet Team Series at the Seattle Boeing Seafair Airshow. Owners of these bespoke Mulliner vehicles were presented keys to their seven cars in front of the seven jets by the matching jet pilot, and also received the corresponding Chronomat 44 Breitling Jet Team Limited Edition numbered timepiece. 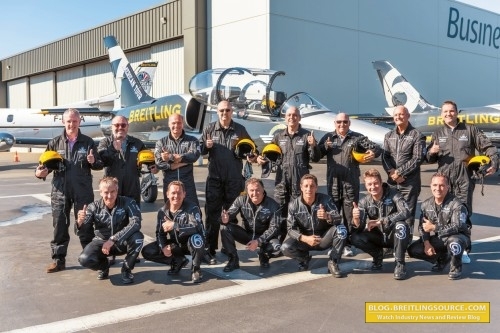 After seeing their cars for the first time, guests experienced a once-in-a-lifetime passenger flight in formation with the Breitling Jet Team high above the Seattle skyline. First of all, I should mention this is the 44mm Chrono-matic from 2006-2008, not the larger more commonly seen Chrono-matic 49 that was produced from 2009-2011. 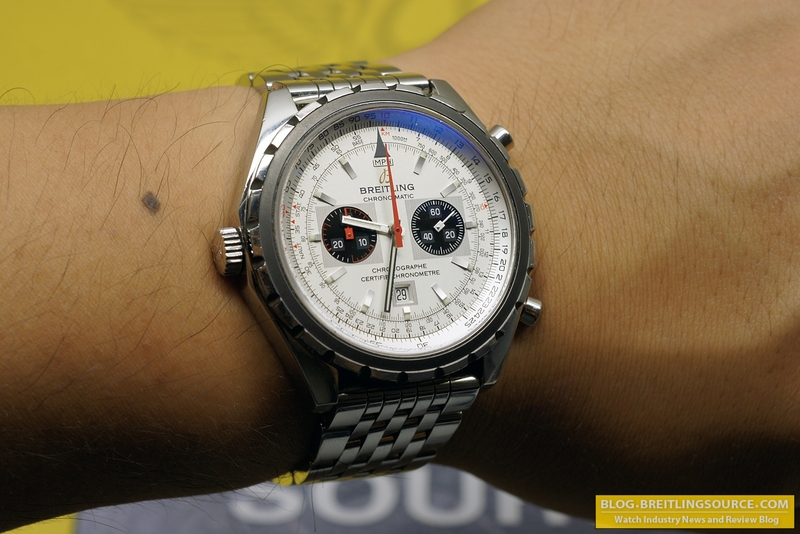 This is still a substantial watch that has considerable wrist presence due to its 44mm diameter. 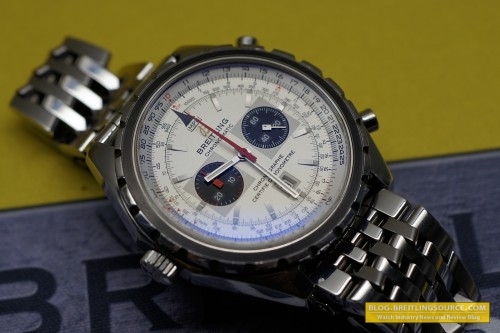 As shown above, I have the watch mounted on a Navitimer Bracelet, with the swivel end lugs, which is different from the fixed lugs that all of the modern Navitimers have. 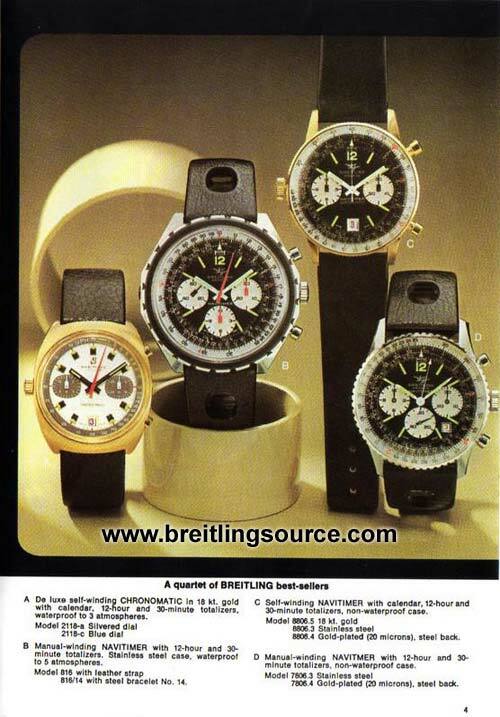 The above photo was taken from one of the 70’s catalogs that I have scanned on the site here if you are interested. 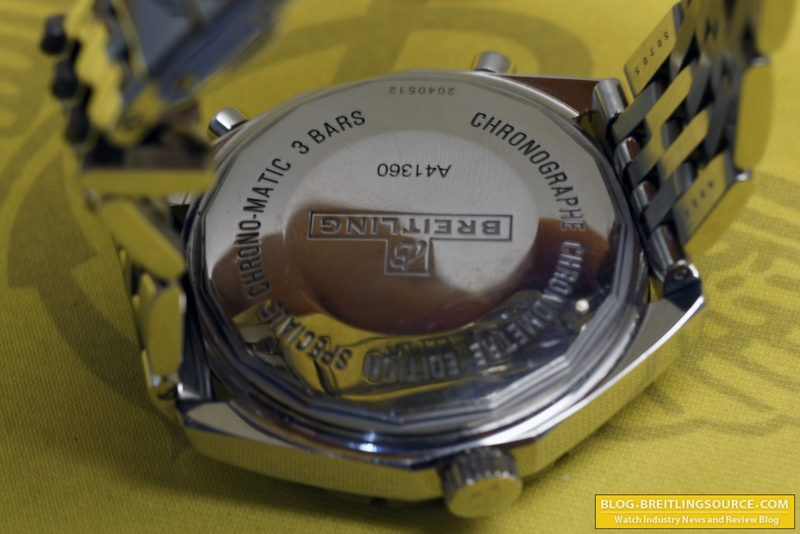 As you can see, there are some similarities between the vintage and the modern version, particularly with the execution of the bezel, case and hands. The Breitling Chrono-Matic features a two-subdial layout with date at 6 o’clock and a left-crown designed case. The movement is the Breitling 41LC Caliber, which is based on the ETA 2892 but is modified for a Left Crown layout. The watch’s sapphire crystal features Anti-reflective coating, as evidenced by the bluish hue on the crystal’s surface, and the striking red chronograph second hand further enhances the watch’s retro-styling. I particularly like the interlaced boxes that surround the subdials and the date. The back of the watch is the standard “vintage” Breitling caseback, featuring a vintage style and stylized “B” on it, similar to the case back that is used on the SuperOcean Heritage line. Here is a side shot on the wrist, to show how lean the watch is on the wrist. It is not a thick watch, and wears quite well. I believe it is officially listed at 13.6mm. 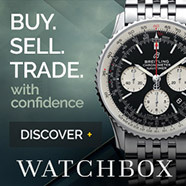 Overall a superb watch that gains me many compliments. For some reason the combination of the silver dial and the retro style just tick all the right boxes and balances really well. My wife even tried to take it away from me! Not often something that happens, particularly with a Breitling.